Who Is The New Stunning Volleybelle Vying For A Pageant Crown? 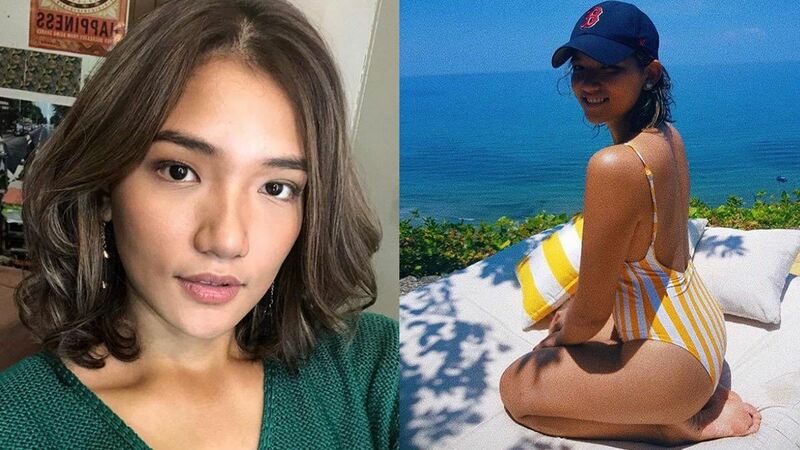 Following Michele Gumabao's success at the 2018 Binibining Pilipinas, where she was crowned Miss Globe Philippines, another ex-volleyball player is aspiring to become the next athlete-turned-beauty queen. Enter Therese Gaston, who last played for the Ateneo Lady Eagles and was part of the 2015 championship squad. The 22-year-old spiker has joined Miss Manila 2018, as seen on one of her Instagram stories. If you're wondering why she kind of looks familiar, maybe because she's the sister of fellow stunning volleybelle Ponggay. Posting more updates online, Therese is thrilled about the opportunity to win the coveted title. She wrote, "This journey is more than just for me but for all the women out there who believe in themselves and their capabilities despite what others or society only see them to be. Let only you define who you are & what you are meant to be." The 5'9" Indonesia-born head turner didn't get discouraged even after failing to land a courtside reporting gig a few years ago. With her consummate mix of "beauty, intelligence, talent, and persona," Therese has a pretty good shot at redemption and pageant glory. We won't be suprised if her equally pleasing sibling eventually follows in her footsteps. Ella Cruz Vs. Donnalyn Bartolome: Who's The Sexier Suspense-Thriller Chick?